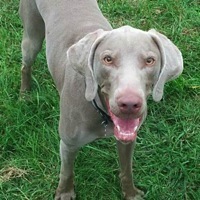 - Florida Weimaraner Rescue - ADOPTIONS - Rescue Me! Dillon is an amazing medium energy dog. He is neutered, up to date on shots, crate trained,walks nicely on a leash.